VATICAN CITY (CNS) — The desire to spend vast amounts on shopping and needless extravagances can prevent Christians from being generous with others, Pope Francis said. “Consumerism is a great disease today. I am not saying that we all do this, no. 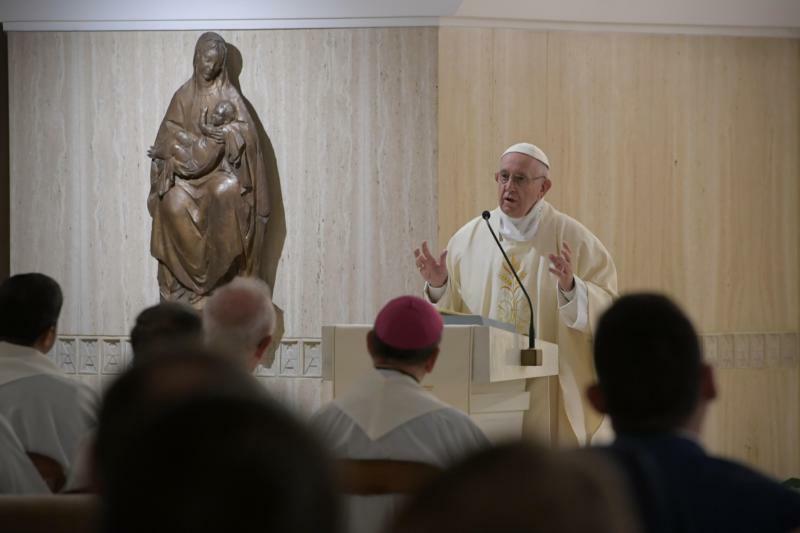 But consumerism, spending more than we need, is a lack of austerity in life; this is an enemy of generosity,” the pope said Nov. 26 during Mass at Domus Sanctae Marthae. In his homily, the pope reflected on the day’s Gospel reading from St. Luke in which Jesus noticed wealthy people placing their vast offerings into the treasury while an old widow makes an offering of two small coins. “I tell you truly, this poor widow put in more than all the rest; for those others have all made offerings from their surplus wealth, but she, from her poverty, has offered her whole livelihood,” Jesus said. Jesus’ assertion that it is difficult for a rich man to enter the kingdom of heaven may cause some to “label Christ as a communist, but the Lord — when he said these things — knew that behind wealth there was always an evil spirit: the lord of the world,” he said. Pope Francis called on Christians to be generous with those in need and to pray to God “so that he can free us from the dangerous evil of consumerism” which is “a psychiatric disease” that can enslave.